Always willing to convene a meeting, host a dialogue or make an introduction, we are especially focused on connecting people and organizations that aren’t already connected or had never thought about a common problem or solution. This is one of the most energizing and motivating roles we have! 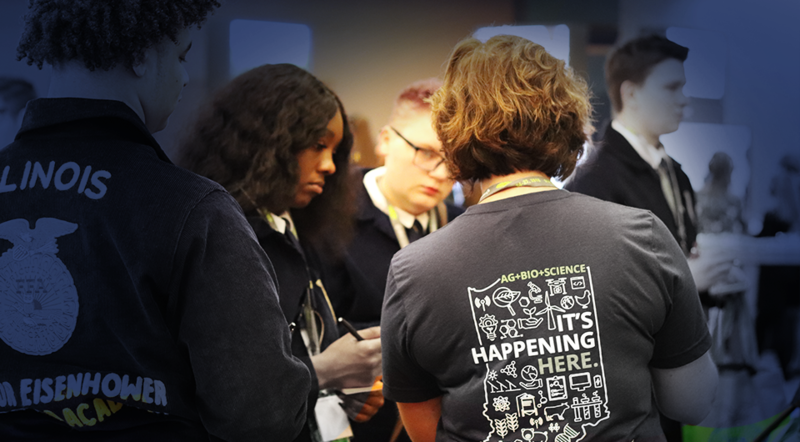 Our signature events shine a spotlight on the agbioscience industry and its companies, researchers, thought leaders, teachers, students and entrepreneurs. We showcase critical issues and innovation successes while building meaningful connections between people. Networking events, start-up showcases and an annual summit take place over the course of the year. We also promote other agbioscience gatherings across the state. Be sure to let us know when you are hosting an event so we can publicize. We are proud of the assistance we have provided to many of our partners— connecting them with potential investors, customers and research and business collaborators. Having AgriNovus advance the sector will lead to additional growth for the agbiosciences industry. By bringing together industry, academe, and government, AgriNovus Indiana is building the foundation. Unlike its coastal competitors, Indiana has the proven talent, customer base and capital to capture its rightful leadership position in ag tech. I was most excited to see all the signs of Indiana creating its own brand of innovation.